The summer transfer window is open and managers are working hard on their transfer targets so we’ll bring you all the latest gossip from around the globe. Today, Arsenal are linked with Hirving Lozano…. Arsenal have opened talks with Hirving Lozano’s agent about a possible move to the Emirates after Unai Emery identified the winger as a summer target, according to the Express via CalcaioMercato. 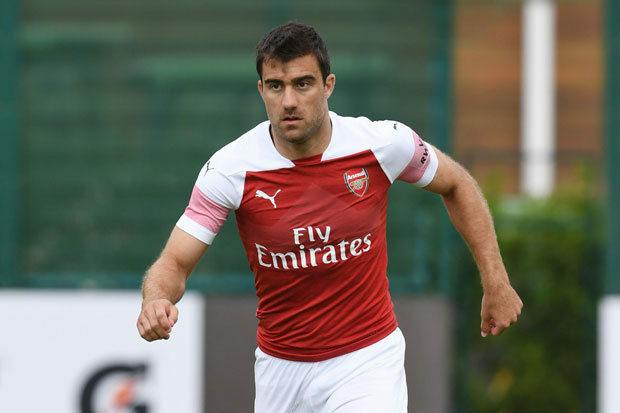 Our new head coach has been busy improving the defensive aspect of the squad with goalkeeper Bernd Leno, right-back Stephan Lichtsteiner and centre-back Sokratis Papastathopoulos all signed while defensive midfielder Lucas Torreira is expected to arrive from Sampdoria. However, Emery is also looking to strengthen his attacking options with a new winger on the agenda as Arsenal have lacked any genuine width in the squad over the past couple of seasons and it seems we’ve identified Lozano as a potential target. CalcioMercato are citing a report from the Express that claims Emery is keen to lure the Mexican international to north London and Arsenal chiefs have now opened talks with his agents about a move to the Emirates. Lozano played a starring role for Mexico at the World Cup finals to help them through the group stages before their defeat to Brazil in the last-16 knockouts and his displays have seemingly caught the eye of Arsenal. The 22-year-old only joined PSV Eindhoven from Pachuca for £7m last summer but he settled well in Holland and provided an impressive 19 goals and 11 assists in his 34 appearances to help win the Eredivisie title. Lozano is comfortable playing on either wing or even through the middle so he’d certainly give Emery plenty of options in the final third if Arsenal were able to get a deal agreed for his signature this summer. However, that might not be an easy task as he’s under contract until 2023 and the Italian publication says PSV are going to demand well above the £22m asking price they would have requested before his starring role at the World Cup. I Am Very Inpress By Our New Boss So Keep It Up. Arsenal really needs a winger who is fast and good in assists.let him sign lozano.